We are attempting to dramatically improve the way we communicate with the IALPA membership and at the same time, massively reduce the cost of doing so. To achieve this we are switching our message sending facility from old fashion SMS (“text messages”) to new Telegram messages, which are sent via the internet. To allow us to do this, we need each member to download and setup on their smartphone OR tablet, an App called “Telegram Messenger” from their respective APP store. This is a FREE app, with no cost involved for any IALPA member! 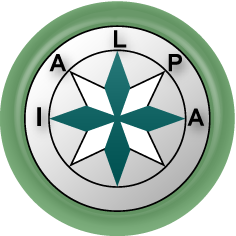 The only thing we require, is for you to link your new Telegram account with your IALPA account so we can contact you. To make this process easy, (it should hopefully only take 2 or 3 mins), we’ve created a new website to handle all the instructions and provide a simple form for you to provide us with your new Telegram ID. We have also created a 1:50min video (below), showing you the entire process you’ll have to perform – you don’t need to watch it, but it might make more sense if you do.